A new app called Acorns hit Google Play this week, which could earn you big time cash using the rounded up leftover spare change from each purchase you make. Once you have made your Acorns account and linked your bank accounts, purchases you make are then rounded up to the nearest dollar. 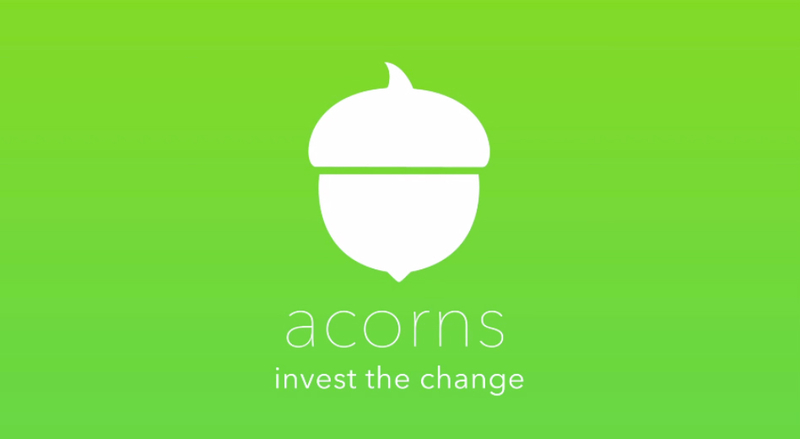 The rounded up change is then placed on the market in low ETFs (Exchange Traded Funds), allowing Acorns to do all of the work for you. The overall goal of Acorns is to “buy low, sell high,” with a big focus on diversification across multiple asset classes also in place. After signing up myself, I can tell you that the process of registering is somewhat of a chore. First, you should know that when you are dealing with the potential of earning real money, Acorns needs to have all of your legal information. This includes your full name, DOB, SSN, bank account information, possible tax information, full address, and much more. This is all used for when you hit it big on the market and decide to transfer those earned funds to your bank account. The tax man will need his slice of the pie. Besides signing up, the app could not be easier to use. Investing is made automatically and based on experts’ recommendations. There are fees and a monthly charge made, but in comparison to commissions made from the big investment houses, it’s rather small. In total, after you invest, $1 is taken from your balance each month. In addition, a fee ranging from .25% to .5% per year of the total assets in your account is charged. If becoming a less than part-time trader interests you, or you want to teach your kids the importance of compound interest investments, check it out on Google Play.